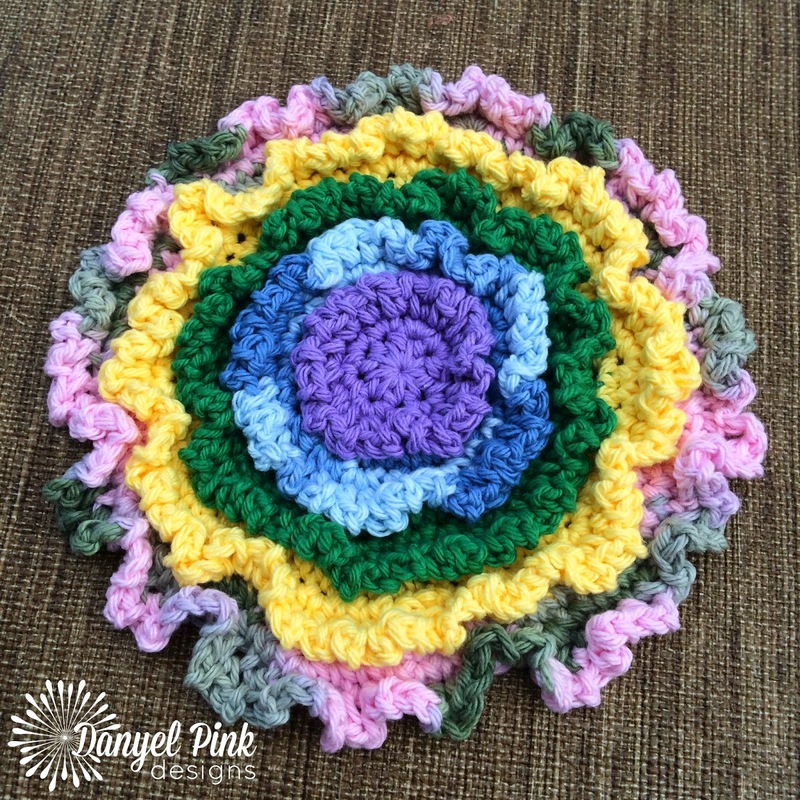 Use up some of your cotton scraps to make this easy, thick hot pad! The ruffles keep your hot pans safely away from your counters. It will also work very well as a dishcloth or face scrubber. My daughter thinks it looks like a nice dollhouse rug! GAUGE: Not important. Hot pad will measure approximately 7" across when you are done. Start w/ magic ring or ch-4/join. Fasten off and change colors. This one was fastened off after Round 12.